The King's Speech <3. . Wallpaper and background images in the The King's Speech club tagged: the king's speech helena bonham carter colin firth geoffery rush movie. 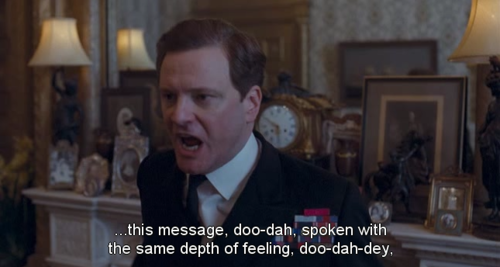 This The King's Speech photo contains کاروبار سوٹ and بزنس سوٹ. There might also be سوٹ and کپڑے کا سوٹ.